Do you have an existing wooden deck that is reaching the end of its useful life? Is your deck a “shoes mandatory area” because of splinters? Are your deck boards warped or starting to rot? Does the prospect of washing and staining your deck again this year make you break out in hives? If so, it might be time you considered a switch to low-maintenance, wood alternative materials for your backyard retreat. 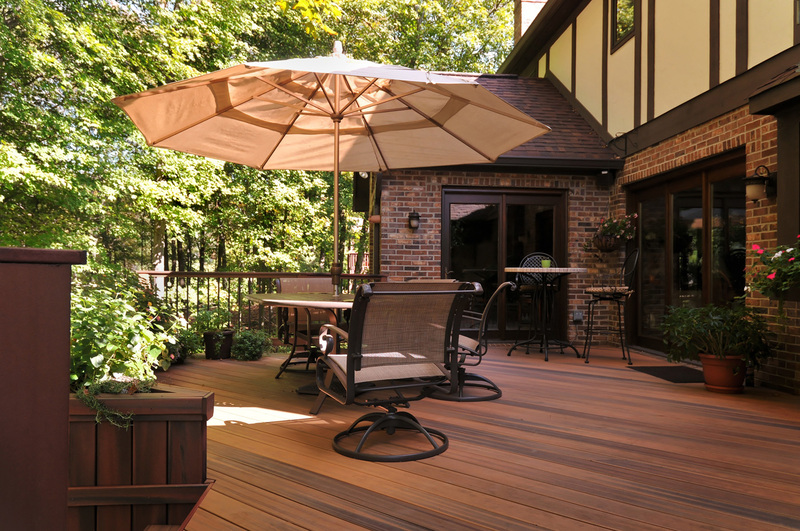 There are a number of factors to consider when evaluating the cost/benefit of upgrading from wood to low-maintenance decking materials and whether the return on investment is right for you. Don’t get me wrong … here at Archadeck, we LOVE wood – used in the right place and for the right reasons (whether the reason is how the wood is used, its aesthetic appeal, or your budgetary concerns). We love wood because it is a beautiful, natural product, and we gladly build scores of projects each year with good old-fashioned pressure-treated wood. Because it is natural, however, wood deck boards will eventually (and “eventually” is sometimes within months) crack, cup, splinter, split, peel, flake, or rot. Wood alternatives (frequently referred to as “composites”) simply don’t. And to back it up, their manufacturers commonly warrant against this wear and tear for anywhere from 25 to 30 years – longer than most people plan to stay in their homes. If you are looking for long-term product performance, composites are your ticket. There is also a strong financial case for choosing composite decking materials. You will pay more up front for this option, but wood decks require cleaning, re-staining, and sealing every one to two years, depending upon a number of factors, including the amount of sun your deck receives and how frequently it endures freeze-thaw cycles. These services vary from vendor to vendor and can easily cost $1,000 or more each visit. On the other hand, composite materials require no more than a good scrubbing to maintain their appeal. Hiring out routine deck maintenance is costly; doing it yourself is courting disaster. If you choose to do the maintenance yourself, you will have to wrestle with ladders, paintbrushes, stain bins, chemical purchases, and more. Most folks who pursue this option end up tired, dirty, and grumpy when they are finished – to say nothing of frustrated that the finished product doesn’t meet their expectations. 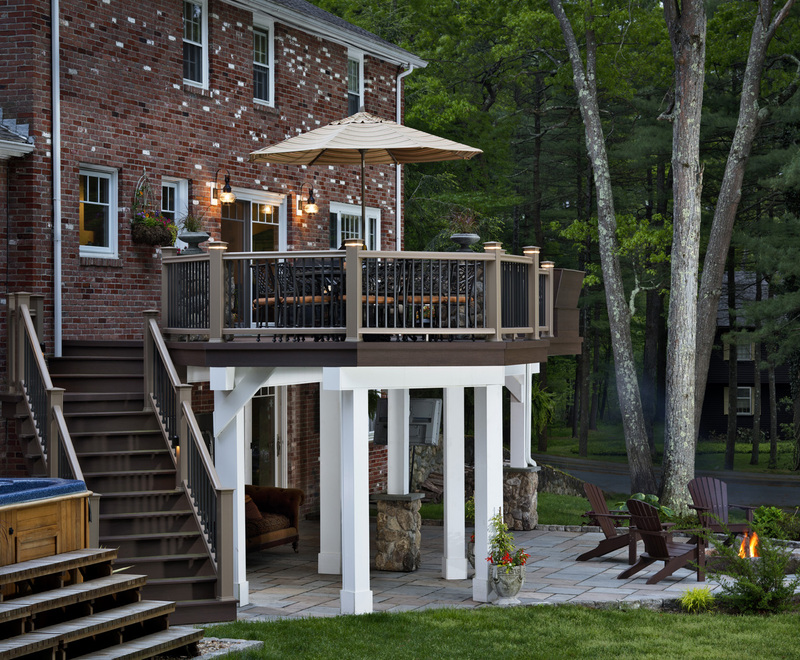 Once you’ve commissioned the deck of your dreams and created your backyard oasis, do you really want days or weeks of work each year hanging over your head? And then there is the aesthetic argument for composites over wood. What is your deck going to look like in 10 or 20 years? Wood decks will change color over the years. Because of exposure to the elements, they will inevitably gray and fade over time. In contrast, a low-maintenance deck will retain its good looks 10, 20 or more years after you originally purchased it. AZEK or TimberTech, a recommended composite decking manufacturer, offers an entire palette of colors in natural wood shades. Whichever shade you choose, your deck will still be that color 10 or 20+ years after installation. Choose a dark gray to contrast beautifully with your light-colored home – it will retain that contrast years later. Choose a light gray to complement your light brick façade, and it will still be that light gray many years down the line. If you demand consistency over time, composite materials are your answer. When making decisions about materials for your new outdoor space, take the long view. Think about what this significant investment in your home will look like in 5 or 10 years; not just what it will look like this season. Will you want to perform routine maintenance (or pay for it!)? At what point does regular maintenance cost more than an upgrade to low-maintenance materials? If you are thinking about adding a new wood or low-maintenance deck to your backyard, give us a call for a free consultation at 336-664-1332, drop us an email at [email protected] or visit our website to fill out a contact form. 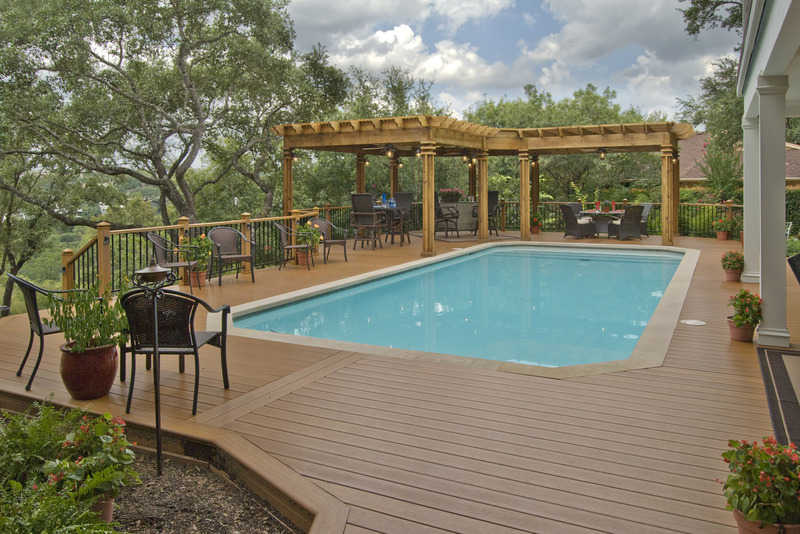 We look forward to providing a free design consultation and building the deck of your dreams.